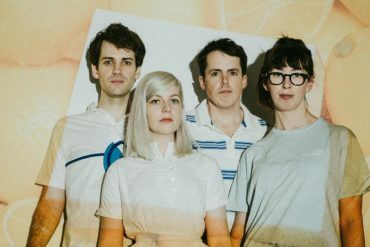 After recently announcing their sophomore album Antisocialites (out on September 8th via Polyvinyl), Alvvays today reveal the video for their current single In Undertow. Watch below. I’m aware of my own drowning fixation and fascinated by that bizarre lunar-tidal relationship. We’ve already filled our water video quota. Space is a trippier ocean. Across its 10 tracks and 33 minutes the Toronto-based group dive back into the deep-end of reckless romance and altered dates. Ice cream truck jangle collides with prismatic noise pop while Molly Rankin’s wit is refracted through crystalline surf counterpoint. Alvvays will be embarking this summer on an extensive world tour. All dates can be found below.